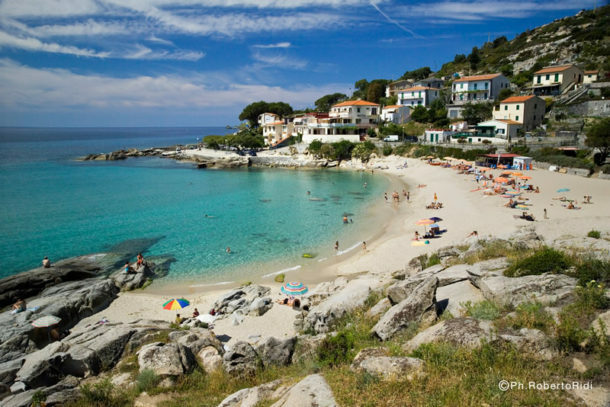 Barbarossa: A sandy beach in the vicinity of Porto Azzurro. 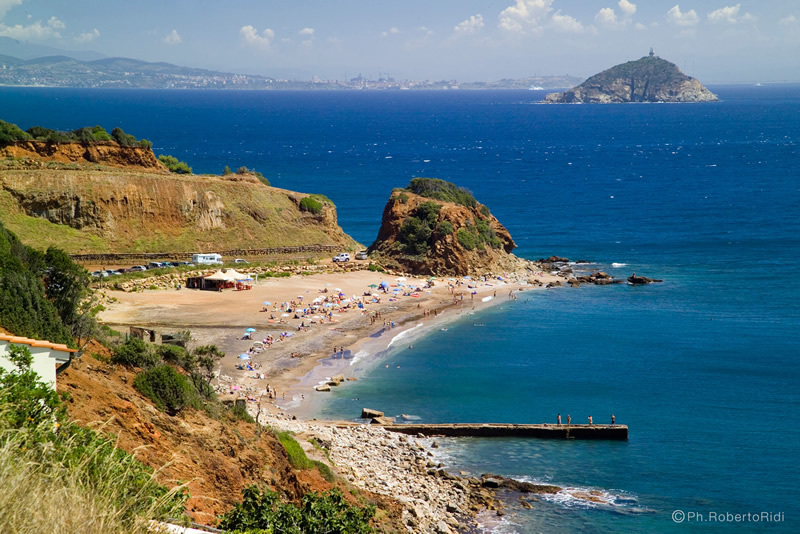 Enclosed by a bay rich in vegetation, it is easily accessible and equipped with numerous infrastructures. To be seen: the promontory to the right is dominated by the Spanish fortress of San Giacomo, site of one of the most famous prisons in Italy. Cala Seregola: A beach mainly composed of dark sand, mineral sand and very small pebbles, near the mines of Rio Marina. Cavo: A beautiful beach with a tourist port and refuelling facilities for boats (Rio Marina). Naregno: A sandy beach located between Porto Azzurro and Capoliveri, near several tourist structures. Reale: A sandy beach near Porto Azzurro which still retains traces of the mines. There is an interesting swimming excursion along the coastline to the small lake of Terranera, about 700 metres to the north (Porto Azzurro). 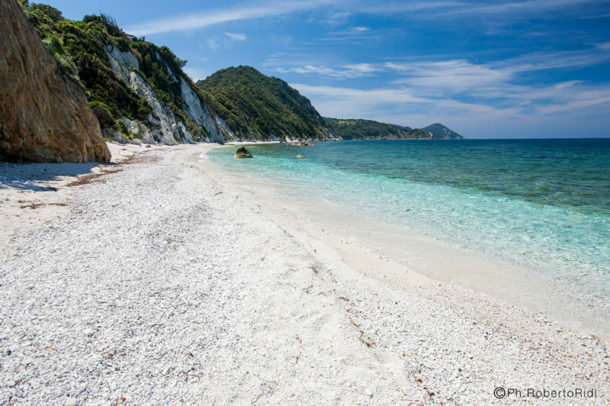 Straccoligno: A sandy beach about 230 metres long, sloping gently down to the turquoise coloured sea. 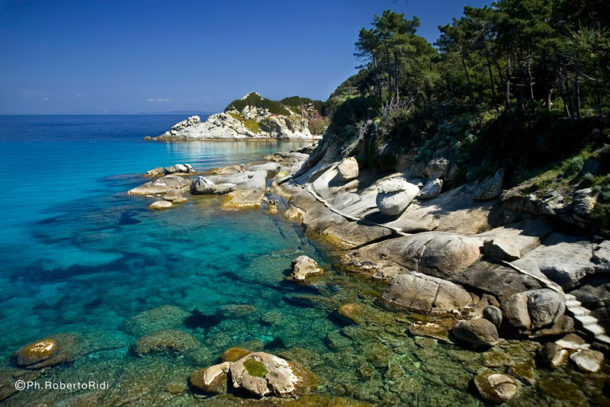 Surrounded by almost uncontaminated nature, between Punta di Capo Perla and Punta di Liscolino. This beach is the ideal starting point for excursions by sea to the small and beautiful beaches and bays of the Costa dei Gabbiani to the right and the fortress of Forte Focardo to the left, and is an easily accessible sandy beach offering the possibility of hiring windsurfs and taking lessons, well served by bars and restaurants (Capoliveri). Topinetti: A beautiful beach due to the contrast between the mainly ferrous and mineral sand and the medium-sized white stones on top of it (Rio Marina).